In this post I would like to show you why SEO/SEM is important for your web and how to work with . While Twitter and Facebook as a social media are important for every business, without SEO optimalization your business will be invisible for whole market. 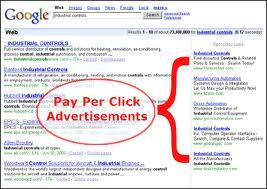 SEM is including SEO ( search engine optimization) and paid advertising . Practically, firstly consider key words for your website, here Google Analytics will help you. Google Analytics will sugesting you key words you can use in campaign. This campaign is paid, but to know what your right key words are it is important and affordable tool. Dont forget on negative words, words under which you do not want be found, for example you are selling glasses ,but you do not want to have visitors on web who looking for wine gasses, this will be your negative words. Google Adwords (after sign in your web) shows you how many people came on which key word and how long they stayed, so then you will know under which words people are trying to find you. Once you have found the right key words, put them into content of your site. Great content of your website could be another chapter. So in few words, more interesting content on web you wil have, more visitors you can attract. Where to put interesting content whie owning for example shop with dresses? Blog! Blogging is now popular and important tool for busineses to be found on website. By interesting articles, people interested about dresses find your article, then you shop and then.. at least they will know about you. Lastly put your website to Hubspot.com.This site offers a tool called Website Grader, which will provide you with a quick assessment of where your website is optimized for SEM and where it is not. Good to know where you need improvements. SEM is also including PPC. paid adveritse in search engine you can see at the right side of page.